Grab the ‘fresh starts’ in your life when they present themselves. Stay focused so you don’t miss them. Remember that you have the power to create some of the opportunities you need to grow and develop. There’s no need to wait for ‘your turn’. You could be waiting forever!!! It’s also worth noting that, contrary to popular belief, your past or where you’re from doesn’t necessarily predict your future. Your future is being influenced by your actions today. Make the change that you need today for a better tomorrow. 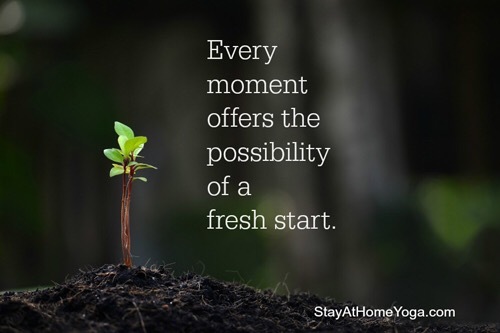 This simple photo and quote resonated with me: “Every moment offers the possibility of a fresh start”. The possibilities are endless. Previous Post Diversity in the NHS!